Might as well add strength to this thread. This is according to Bobby's axle breaking machine. All breaking measurements are in Ft Lbs. The white frame pic is an FJ40, note the offset round cross piece in the middle. The grey one looks like an ealry 90's 4 runner. notice the link mounts and the coil buckets. Axle Width (WMS to WMS) - this is the distance from where the wheel sits flat against the hub/rotor assembly on one side to the same surface on the other side of an axle. If you are using wheel spacers or any kind, they should be included in this total width as well (for example: 60" WMS to WMS with 1" spacers on each side = 62" WMS to WMS). Wheel Backspacing - this is the distance measured from the inside (or back side) of the wheel edge towards the center of the wheel where the wheel contacts the hub/rotor assembly when mounted on the vehicle. 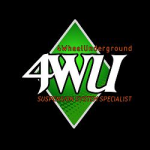 Wheel Width - this is the overall advertised width of your wheel. Tire Width - This is the overall tread width measurement of the tire. I'm liking this thread, its awsome! Type the angle of your shocks in to a calculator and press the "cos" button. The tap size for toyota diff breathers is 1/8" NPT, 27 Thread per inch. Can some one post up trans, t-case, and crawlerbox lengths, including auto's if they have them. Need a bigger hammer and more paint. 85 Xtra-Cab- stuff and things. Is there a thread for actual tire heighths? Like my 39.5 IROK's measure exactly 39.5 inches tall. Most tires run small. I would like to see a list of what size tires really are. In 1986 Toyota switched their suspension from a leaf sprung solid axle to an IFS, at the same time they widened the stance by 3 inches, front and rear. I've heard that in Canada Toyota keep-ed the solid axle one extra year and that it too was widened to match the rear. Can anyone here confirm this rumor? Somebody download and save this while you still can. Anyone know how much gear oil the Toy axles take? Is this a trick question? Ya gotta fill em up til they're full! I found this list of Toyota abbreviations, and I have copied it without permission from this site. ASCO Aisin Seiki Company Ltd.
CITIZEN Rhythm Watch Company Ltd.
GS Japan Storage Battery Company Ltd.
JKK Jidosha Kiki Company Ltd.
KOBE Shinkobe Electric Machinery Company Ltd.
KOITO KOITO Manufacturing Company Ltd.
KOYO Koyo Seiko Company Ltd.
MARUKO Maruko Keihoki Company Ltd.
MATSUSHITA Matsushita Electric Industrial Company Ltd.
MURAKAMI Marukami Kaimeido Company Ltd.
NOK Nippon Oilseal Industry Company Ltd.
NSK Nippon Seiko Company Ltd.
TANAKA Tanaka Instrument Company Ltd.
TOKAIRIKA Tokai Rika Company Ltd.
TOSHIBA Tokyo Shibaura Electric Company Ltd. Page created in 0.357 seconds with 33 queries.